Education is one of the most rewarding careers out there, but if you want to expand your job opportunities and earn a higher salary, you need more than just your bachelor’s degree. An online master's in education (M.Ed.) can help you achieve these goals, and let you earn your degree while maintaining your full-time job. Designed for candidates with a bachelor's degree who already hold a teaching certification and those who are seeking certification, the M.Ed. focuses on education philosophy, advanced teaching methods, and educational technology training. Learn more about what you can do with an M.Ed. and what kind of career opportunities you can look forward to with this comprehensive guide. An M.Ed. prepares graduates to become leaders in or out of the classroom ... Many pursue careers as teachers, school counselors, educational specialists, principals, or professors. Choosing a program is an incredibly personal decision, and only you can properly evaluate whether a school's strengths match your educational needs. 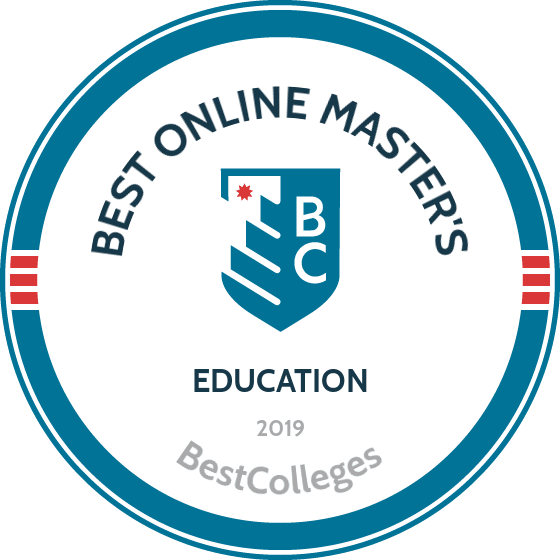 The following ranked list of schools should serve as a helpful starting point in your search for the best online master's in education programs in the United States. Our ranking is based on the courses schools offer, available specializations, student outcomes, career support services, and other criteria used to determine academic excellence. If you are considering an online master's in education, be sure to contact admissions specialists at different colleges and universities to learn more their about specific application requirements and course offerings. As a program that Johns Hopkins designed exclusively for Teach for America (TFA) teachers and alumni, the master of science in education - educational studies prepares students to make teaching their lifelong career. Students graduate from this accelerated program in just two years and earn a Maryland teaching license. Online students in other states should check with their departments of education to determine if their license transfers. The 39-credit online master's in education program uses a cohort learning model to foster academic and professional relationships. A new cohort begins each fall. Johns Hopkins prides itself on the individual attention each student receives. TFA teachers apply what they learn in class at their jobs. The university helps TFA graduates find appropriate student teaching placements in their home communities. Johns Hopkins hosts a virtual information session each semester for prospective online students. The university has four application rounds. Applicants can apply as late as July 1st for that year's fall cohort. Applicants who completed the TFA Summer Institute automatically receive nine transfer credits. A private university, Johns Hopkins charges the same tuition rate to all students. Some students may qualify for a TEACH Grant or other funding through AmeriCorps. The university's financial aid department works one-on-one with online students to create individualized tuition payment plans. Johns Hopkins holds accreditation from the Middle States Commission on Higher Education (MSCHE). The School of Education boasts accreditation from the Maryland State Department of Education and the Council for Accreditation of Counseling & Related Educational Programs. NC State offers a great solution for in-state science educators planning to advance their educations and careers. In the master of education - science education program, secondary school teachers, community college teachers, and other science educators earn North Carolina teacher licensure. Full-time students graduate in two years, and part-time students earn their degrees in 3-4 years. The 36-credit synchronous curriculum not only confers a master's degree, but also prepares graduates to pursue National Board Certification. Before moving on to advanced science courses, students complete core coursework in technology tools for science teaching and foundations of science education. Finally, students select a focus area, such as middle school education or special populations, to learn vital skills applicable to their future career paths. Applicants must possess at least two years of teaching experience, a minimum 3.0 undergraduate GPA, and at least 24 science-related undergraduate credits. Applicants must also submit GRE or MAT scores. Due to the specialized curriculum and North Carolina's licensure requirements, NC State does not accept out-of-state applicants. As a result, all students in this online education master's program pay the same per-credit tuition rate. Other distance education fees apply for each credit students attempt. Online students may apply for university merit- and need-based scholarships. New students begin the program in the fall, summer 1, or summer 2 term. NC State holds accreditation from the Southern Association of Colleges and Schools (SACS). The Council for the Accreditation of Educator Preparation (CAEP) granted accreditation to the master's in education program in 2015. At USC's Rossier School of Education, students in the master of arts in teaching program can select from five concentrations: elementary-level multiple subject teaching, secondary English, secondary mathematics, secondary science, or secondary social science. Students can further personalize their education by earning an optional credential in special education or gifted students. Full-time students who follow the recommended course schedule graduate in two years or 2.5 years if they complete a credential. The 28-credit synchronous curriculum -- 34 credits for a master's plus credential -- stresses foundational coursework, teaching methodology, literacy promotion, and field experience that concludes with a capstone portfolio. Coursework common to all concentrations includes instruction for English as a new language, culture learning in schools, and political and academic issues facing gifted students. Students complete two concentration-based practicums. Throughout this online master's degree in education, students receive tremendous tutoring and career services support. Graduates qualify for teacher licensure in California and states that have reciprocity agreements with California. Application requirements include a bachelor's degree with a minimum 3.0 GPA and a statement of purpose. New cohorts begin in January, May, and September. Each start date uses a different application deadline. A private university, all USC online students pay the same tuition rate. Master's in teaching students may qualify for $3,000-$7,500 in annual scholarships based on their academic merit. USC holds accreditation from the Western Association of Schools and Colleges (WASC). The Rossier School of Education boasts accreditation from the CAEP. Physical education teachers need to look no further than USF's master of arts in physical education degree. The program has two tracks: one for students who already possess teacher licensure, and one for students who do not. Although the latter track focuses more on teaching fundamentals, it does not confer teacher licensure in any state. Students take all courses online, and full-time students graduate in two years. Popular careers for graduates include primary and secondary school physical education teachers. The 30-credit curriculum uses the Canvas online learning system. Courses in both tracks include clinical supervision in physical education, learner assessment in school-based physical education, and analysis of teaching in physical education. Each course uses a project-based assessment system wherein students apply what they learn in different K-12 education settings. Students who do not work as teachers must make their own arrangements to work in local schools. Admission requirements include a bachelor's with a minimum 3.0 GPA. Applicants who possess a master's in another subject must earn a minimum 3.5 GPA. Applicants whose first language is not English or who earned bachelor's degrees from non-English-speaking countries must submit TOEFL scores. Students can apply for the summer, fall, or spring semester. Each term features a different application deadline, and the university uses earlier deadlines for international applicants. An online master's in education, the program does not qualify international students for a U.S. student visa. USF holds accreditation from SACS, and the School of Education holds accreditation from the CAEP. Texas A&M's master's in special education online program helps experienced special education professionals advance their education and career. Full-time students earn their degrees in two years. This online master's in education program does not confer special education teacher licensure in any state. Graduates go on to work as special education teachers, administrators, and behavior coaches. The program also meets all academic requirements for graduates to pursue a Board Certified Behavior Analyst certification. The 36-credit curriculum features courses in behavior management, bilingual special education, and advanced applied behavior analysis. Students begin the synchronous program during the summer term. In the summer, students take five-week accelerated courses. Courses in the fall and spring terms last 16 weeks. Online courses meet in the evenings. Throughout the program, students develop an e-folio where they investigate the curriculum's applications in real-life education settings. Near the end of the program, students present their e-folios to professors and then answer questions. All professors possess doctoral degrees and significant work experience in special education. Texas A&M strongly recommends, but does not require, applicants to possess a teaching license or teaching experience. Application requirements include recommendation letters, official transcripts, and a statement of purpose. The university uses a February 15 application deadline. In-state online students save approximately 50% on their degrees compared to out-of-state online students. New students with significant experience teaching children with special needs may qualify for the Heather Bradley Endowed Scholarship in Educational Psychology. The university also awards other endowed scholarships to practicing and aspiring teachers. Texas A&M holds accreditation from SACS. The hybrid master of arts in teaching - fine arts at the U prepares current and aspiring arts educators to provide their young students with the best arts education. The hybrid component involves two 12-day summer intensives on the U's Salt Lake City campus. The degree does not meet any state's requirements for teacher licensure; however, many licensed teachers from around the country attend the U to advance their career and salary potential. This 30-credit, individual-pace online master's in education uses collaborative learning and projects to mimic the on-campus classroom environment. To encourage professional relationships among students, many courses use a unique peer review system wherein students leave feedback on their peer's work. Each course uses a 16-week schedule. Some courses may require students to take exams at an authorized proctoring center. Online students who live near the U's campus may take some courses on campus. Applicants must possess either a bachelor's in the arts, a teaching license, a bachelor's in education, or significant teaching experience. Applicants submit a statement of purpose, transcripts, two recommendation letters, and an arts teaching portfolio. The U uses a February 1st application deadline for the fall semester. Before starting the program, new students submit to a criminal background check. In-state students save approximately 66% on their degrees compared to out-of-state students; however, all students save money when they take a full course load. The U holds accreditation from the Northwest Commission on Colleges and Universities (NWCCU). UCF's exceptional student education, M.Ed. program helps licensed special education teachers in Florida learn the newest and best practices in differentiated instruction, equity, and pedagogical content knowledge. All online students receive one-on-one attention from a university success coach. Graduates go on to become special needs teachers, literacy coaches, and speech and audio therapists. The asynchronous, 33-credit completely online curriculum includes coursework in fundamentals of graduate research in education, methods of behavioral management, and collaboration in special education. After completing required and specialization courses, students select from a thesis or non-thesis option. For the latter, students take two additional education electives or produce a research report based on a semester-long action research project. The thesis option also takes one semester to complete. Depending on their educational and professional histories, some students may need to take additional courses. Prospective students may apply for the fall, spring, or summer semester. Each semester uses a different application deadline. Application requirements include official transcripts and an active Florida teaching certificate in exceptional student education or special education. UCF does not require standardized test scores. International students with foreign college degrees may apply as long as they meet all other application requirements. The university boasts a simplified scholarship application that compares applicants' need and merit against over 100 university-funded scholarship opportunities. UCF holds accreditation from SACS, and the College of Community Innovation and Education boasts accreditation from the National Council for Accreditation of Teacher Education (NCATE). At Purdue, dedicated students can earn their online master of science in education in special education in only 20 months. The program emphasizes essential skills special education teachers and administrators need: curriculum planning, classroom management, and special education best practices. Unlike other online master's degrees in education, Purdue has three tracks that confer Indiana licensure. A fourth, non-licensure track attracts prospective students preparing for a research-based career. Students in all tracks can complete an optional intense intervention focus, which prepares graduates to work with children with severe mental and physical disabilities. The curriculum includes 25 core credits applicable to all concentration tracks. Unique courses in the core curriculum include intervention strategies and research, advanced assistive technology, and advanced characteristics of children with mild disabilities. In the licensure-track concentrations, students take additional coursework, and perform practicums and student teaching in their home communities. Purdue advises out-of-state prospective students to check with their states' departments of education to determine if an Indiana teaching license transfers. Before applying, prospective students can attend a virtual open house event. Unlike other online master's in education, Purdue requires an interview. Applicants must also submit official transcripts, a personal statement, and GRE scores. The university waives the GRE requirement for applicants with a minimum 3.0 undergraduate GPA and applicants who already hold an advanced degree. Out-of-state students pay twice the in-state tuition rate. Students pursuing licensure pay additional fees that go towards setting up practicum and student teaching experiences. Purdue holds accreditation from the Higher Learning Commission (HLC). The College of Education possesses accreditation from the NCATE. One of the shortest online master's in education on this ranking, the MA in educational leadership at SDSU prepares students for leadership careers in just 12 months. The program emphasizes technology skills education leaders need to improve their schools and districts. As SDSU created this program for licensed, practicing educators, it does not meet any state's requirements for initial teacher licensure. The 9-course curriculum uses a cohort learning model so students can learn, collaborate, and grow together. The curriculum boasts coursework in school improvement leadership, administrative decision making, and a seminar in technology architecture. The program concludes with an individual study course wherein students personalize their educations to their current job and career goal. All professors hold advanced degrees and significant work experience as education administrators. During the program, most students continue working full time so they can apply what they learn at their job sites. As of this ranking's writing, residents of only 19 states and two U.S. territories outside California may apply to SDSU's College of Extended Studies online programs. Application requirements include a statement of leadership philosophy, resume, and two recommendation letters. Students can apply for the fall, spring, or summer semester. All students pay the same per-credit tuition rate in addition to distance education fees. At SDSU, spouses of active military personnel receive an automatic tuition discount. San Diego residents may qualify for reduced or free tuition through the San Diego Workforce Partnership. SDSU holds accreditation from the WASC. Middle school teachers who earn a master's in science education can teach new courses, and their advanced degree prepares them for leadership positions within their department or school. WGU's master of arts science education (middle grades) helps teachers make their career goals a reality. Teachers in many states also use this degree to add a middle grades teaching endorsement to their licenses. Most full-time students can graduate in two years or fewer. The 14-course, individual-pace curriculum includes courses in general science content, teacher performance assessment, and middle school education best practices. Students take courses one at a time and complete lab work at home with special kits WGU provides. At the end of the program, students produce an extensive research paper that displays their new science curriculum development and implementation skills. New students can start the program at 12 points throughout the year. WGU does not charge an application fee. Application requirements include undergraduate transcripts and an active teaching license. Teachers who already possess a middle grades science endorsement may not apply. WGU charges a flat fee for each term, meaning that students who take full or accelerated course loads save thousands of dollars compared to part-time students. Many students graduate with little to no debt and end up paying less than half for their degrees than students in comparable master's in higher education online programs. Active military personnel receive an automatic tuition discount. WGU holds accreditation from the NWCCU. The fully online M.Ed. in reading education program at UGA's College of Education prepares licensed teachers at all grade levels to become more effective literacy instructors. The program qualifies Georgia teachers to earn a Georgia Reading Endorsement. Graduates of this online master's in education degree use their new knowledge and skills as literacy coaches and English teachers. The 36-credit, 12-course curriculum uses a cohort learning model. Students start the program with survey in reading instruction coursework before completing practicums at their job sites. Other unique courses include integrating digital resources in the literacy classroom and popular culture in the literacy classroom. The latter course conveys the crucial skills that teachers use to help students discover their favorite popular culture's literary roots. The program concludes with a capstone course and a comprehensive examination. New cohorts begin in the fall and spring semester. UGA admission requirements involve a minimum 3.0 undergraduate GPA, three recommendation letters, GRE or MAT scores, and at least two years' teaching experience. UGA occasionally admits students with fewer than two years' experience. Unlike many other online master's in education programs, students may transfer up to nine credits. Prospective international students may apply. Like many colleges and universities, UGA uses earlier application deadlines for international applicants. Although a public university, UGA charges the same credit-based tuition to all students. In-state active military personnel, veterans, and their families may qualify for the Georgia HERO Scholarship. UGA holds accreditation from SACS. MC offers not just one, but two online master's degrees in education, perfect for licensed and experienced educators. The master of education in special education online and master of education in elementary education online prepare students for two unique but complementary career paths. New students can start their degrees at five points throughout the year. Full-time students complete these accelerated programs in just 10 months. Out-of-state prospective students should contact their states' departments of education to determine whether the MC program fulfills all requirements for an additional endorsement. In both programs, all courses last seven weeks. The special education curriculum features coursework in organizational procedures for special education and the psychology of exceptional children. Elementary education students study curriculum development best practices and prescriptive reading techniques. Although a private, Christian university, MC does not require online master's in education students to complete faith-based coursework. To remain in good academic standing, students maintain a minimum 3.0 GPA. MC exempts students with a 3.75 GPA from taking the programs' final comprehensive exams. Applicants must possess a minimum 3.0 undergraduate GPA, an active teaching license, and competitive standardized test scores. Elementary education students pay a slightly higher per-credit tuition rate than special education students. MC exempts online students from paying technology and health services fees, resulting in significant savings. Students who agree to spend four years teaching at a high-need school after graduation can receive up to $8,000 in tuition assistance. MC holds accreditation from SACS and the NCATE. Michigan State University's master of arts in special education gives practicing, licensed K-12 teachers the knowledge and skills needed to work with students with disabilities. The entirely online program boasts two focus areas: autism-spectrum disorders and learning disabilities. From the program's first day, students receive personalized help from a faculty adviser. Full-time students typically graduate in two years. The program results in a Michigan special education teaching endorsement. The 30-credit curriculum includes coursework in consultation in special education, assessment of students with mild disabilities, and applied behavior analysis. Students both complete the program's 90-credit practicum and internship components under the supervision of experienced teachers and record themselves teaching for their professors' review. In addition to selecting a concentration, students can customize their education through electives. At MSU, all professors who teach online courses possess doctoral degrees. Students must maintain a minimum 3.0 GPA to stay in good academic standing. Near the end of the program, students take a certifying examination. This online master's in education program accepts U.S. and international applicants, with the exception of Maryland and Arkansas residents. Applicants submit three recommendation letters and transcripts. The school does not require test scores. In-state students save approximately 50% on their degrees compared to out-of-state online students. The school does not provide scholarships or grants to online special education graduate students. MSU holds accreditation from the Higher Learning Commission. Future education leaders choose UST's master of education program. This online master's in education prepares students for administrative roles at the school and district levels. The program qualifies in-state students to take the Texas Principals Exam. Aspiring Texas principals with a master's degree can select a one-year program. Although most students complete the program entirely online, students who live near UST's Houston campus can take some courses on campus. The 36-credit curriculum features six concentrations: counselor education, educational leadership, special education, dual-language instruction, curriculum and instruction, and generalist. All concentrations use a synchronous curriculum where most courses take place in the evenings or on weekends. All students take three core courses before starting concentration courses. Although a Catholic university, UST does not require online master's degree in education students to take courses on the Bible or Christianity. Students must maintain a minimum 3.0 GPA. Advisers help students plan appropriate course loads. All applicants need an active teaching license and at least two years of teaching experience. Applicants with less than a 3.0 undergraduate GPA submit GRE or MAT scores. The program offers spring, summer, and fall start dates. Some concentrations provide funding to eligible students. Online graduate students save approximately 33% on their degrees compared to on-campus students. The school does not offer scholarships or grants to online graduate students. UST holds accreditation from the Southern Association of Colleges and Schools. The university's School of Education and Human Services boasts accreditation from the Council for the Accreditation of Educator Preparation. Colorado State University's Global Campus boasts 13 entirely online graduate degrees, including an online master of science degree in teaching and learning. The program does not result in initial teacher licensure or endorsements. Graduates pursue work as administrators in preschools; childcare centers; and public, primary, and secondary schools. The 36- to 39-credit curriculum boasts 18 specializations, including global management, information technology, and K-12 education technology and instructional design. Before starting concentration courses, students complete eight synchronous core courses in areas such as research and writing fundamentals, cultural responsiveness in the differentiated classroom, and action research. No matter which specialization students choose, the program concludes with a research-based professional project or capstone course. Although the program does not confer teacher licensure, students can combine this program with CSU Global's teacher preparation program to graduate with a master's degree and a license or certification. Applicants need a minimum 3.0 undergraduate GPA. Other application requirements include transcripts, a statement of purpose, and passing the university's SmarterMeasure Assessment. All students pay the same per-credit tuition. Active military personnel and veterans receive a 50% tuition discount. CSU Global holds accreditation from the Higher Learning Commission. Brandman's MA in special education, teaching, and learning appeals to teachers planning for careers in special education and teachers who want to support students with special needs in general education classrooms. Students can earn their degrees entirely online or through a hybrid program. Brandman hosts 15 campuses throughout Southern California, and students can begin their education at six points throughout the year. The 30- to 36-credit curriculum includes a 12-credit teaching and learning emphasis concentration. The program features courses in special education collaboration and research and evaluation methods. It also includes a special education capstone. All faculty members possess doctoral degrees and extensive experience in special education, school psychology, or psychiatric mental health. Application requirements include a competitive GPA, a valid California teaching license, two recommendation letters, and official transcripts. Students without a minimum 3.0 undergraduate GPA must submit GRE or MAT scores. Brandman accepts non-licensed students as long as those students also enroll in a teacher preparation program. A private university, Brandman charges the same tuition rate to all online students, regardless of residency. Brandman does not award university-funded scholarships or grants to online graduate students. However, the financial aid department works closely with students to locate outside scholarship, grant, and loan opportunities. Brandman holds accreditation from the Western Association of Schools and colleges, the National Council for Accreditation of Teacher Education, and the California Commission on Teacher Credentialing. At FIU, students can earn an online master of science in special education. In-state graduates earn an autism spectrum disorder endorsement. Out-of-state students should research their state's endorsement policies before applying. Full-time students graduate in one year. The 36-credit curriculum offers coursework in integration of assessment and instruction, working with families of students with disabilities, and assistive and instructional technologies. Autism courses impart crucial skills that special education teachers need to assess, assist, manage, and nurture in children with autism. Full-time students take two courses during each eight-week term. This master's in higher education online does not require a practicum or internship. Professors possess advanced degrees and extensive teaching experience. Students can apply for the fall or summer semesters. Application requirements include a minimum 3.0 undergraduate GPA and an active teaching license with a special education endorsement. The school occasionally accepts applicants without an endorsement if applicants first pass a special examination. The school charges a flat tuition rate for the entire program, so part-time students can take courses at their own pace without incurring additional charges. The university does not charge online students additional fees. The FIU Online Academic Merit Scholarship awards monies to incoming students with a 3.25 undergraduate GPA. Depending on funding, all eligible students may not receive this scholarship. FIU holds accreditation from the Southern Association of Colleges and Schools. The College of Arts, Sciences, & Education boasts programmatic accreditation from the Council for the Accreditation of Educator Preparation. The AU master of art in teaching - elementary education attracts prospective students without prior teaching experience. A rigorous curriculum and extensive student teaching experience prepare graduates for Washington, D.C. K-6 teacher licensure. Prospective students should check with AU if the program meets their state's teacher licensure requirements. Full-time students can graduate in 20-24 months. The program boasts a 100% employment rate for graduates. Besides classroom teachers, graduates pursue careers as program heads, educational game designers, and curriculum specialists. The 33-credit synchronous curriculum features courses in effective teaching for diverse students, teaching mathematics in elementary school, and theories of educational psychology and human development. In subject-specific courses, students learn how to incorporate STEM into the curriculum. Courses use live sessions to simulate an on-campus experience. In the final year, students spend two days per week completing practicums in local educational settings. In the last semester, students work full time as student teachers at two schools in their local communities. Prospective students can attend an information webinar by signing up on the program website. Admission requirements include Praxis CORE scores and two recommendation letters. All online students pay the same tuition and fees. Teach For America alumni, veterans, and nontraditional students switching careers receive an automatic 29% tuition discount. A Yellow Ribbon university, AU provides additional tuition assistance to veterans and active military personnel. AU holds accreditation from the Middle States Commission on Higher Education. AU's School of Education possesses accreditation from the Council for the Accreditation of Educator Preparation. Clemson's master of education: teaching and learning (online) program prepares practicing teachers to advance their careers. With the opportunity to pursue a concentration, students can personalize their educations and apply for additional endorsements to their teaching licenses. Full-time students can complete this online education master's program in 18 months. The 30-credit asynchronous curriculum lists three concentration options: Science, Technology, Engineering, Arts, and Mathematics; instructional coaching; and early childhood education. Prospective students interested in instructional coaching must boast three years of teaching experience. All students take core courses in curriculum theory, contemporary issues in assessment, and classroom-based research. Students in the classroom-based research course conduct research at their job sites. All courses last 5-7 weeks. Students remain in good academic standing by maintaining a 3.0 GPA. Before applying, out-of-state prospective students should determine whether this master's in education online program fulfills their state's requirements for teacher licensure endorsements. All applicants need a minimum 3.0 undergraduate GPA or a competitive score on the GRE or MAT. Applicants also submit three recommendation letters, two of which should come from past or present work supervisors. Clemson does not accept students who do not currently work at a school or other educational setting. New students begin the program in the fall semester, and all students pay the same tuition rate. Clemson charges online students significantly fewer fees than on-campus students. Clemson holds accreditation from the Southern Association of Colleges and Schools and the Council for the Accreditation of Educator Preparation. The University of South Carolina's online master of education in teaching (with specializations) program lists three specialization options: literacy and reading, project-based learning, and multicultural contexts in education. Each high-demand specialization prepares graduates to tackle educational challenges. Along with specializations, this online master's in education includes pathways for licensed teachers and students earning their initial licenses. Full-time students can graduate in 18 months. All specializations use a 30-credit curriculum. Students take five core courses synchronously before taking specialization coursework. The core curriculum includes two action research courses: introduction to educational research and ideas and issues in teaching. Students take five courses for their specialization, which may include additional project-based learning at job sites. Each specialization allows students to further personalize their education through an elective. All courses last eight weeks, and students take two courses each term. The program requires that students maintain a minimum 3.0 GPA and complete the degree within six years. Applicants need at least three years of teaching experience and a minimum 3.0 undergraduate GPA or excellent scores on the GRE or MAT. Other application requirements include two recommendation letters and a letter of intent. All students pay the same credit-based tuition regardless of residency. Additional fees apply for each credit hour students attempt. Each year, South Carolina awards millions of dollars in need-based and merit-based aid to incoming students. The University of South Carolina holds accreditation from the Southern Association of Colleges and Schools. In USD's online master of education program, experienced teachers can select from five concentrations: Science, Technology, Engineering, Arts, and Mathematics (STEAM ); inclusive learning; curriculum and instruction; literacy and digital learning; and school leadership. This online master's degree in education conveys the latest learning theories and best practices for technology in the classroom. Full-time students graduate in 20 months. The 30-credit curriculum features five core courses that students take synchronously. Course topics include social justice, cognition and learning, and research methodology. All students complete a final capstone course. Students interested in the STEAM concentration need not hold a teaching license in a STEAM-related subject. Students pursuing the inclusive learning concentration may qualify for a special education certification in their home states. In addition to a valid teaching license, applicants must possess at least two years of teaching experience. The program highly recommends that students work as teachers while completing the program. New students can start the program in the fall, spring, or summer. All students pay the same per-credit tuition rate. Active military personnel and veterans receive tuition assistance through the Yellow Ribbon Program. Graduate students with exemplary academic performance can apply to become a Dean's Graduate Merit Scholar, a distinction that confers significant financial aid. USD holds accreditation from the Western Association of Schools and Colleges. The online master of education program holds accreditation from the Council for the Accreditation of Educator Preparation. The University of West Florida's exceptional student MA program prepares new and experienced teachers for careers in K-12 special education. The program lists two specializations: alternative education and applied behavior analysis. Students who do not reside in Florida should check the university's state authorization status page to determine if the program fulfills their states' teacher licensure requirements. The 36- to 42-credit curriculum includes different core courses for each specialization. Applied behavior analysis students take courses in educational assessment, issues in classroom management, and concepts of applied behavior analysis. Alternative education students study behavior management and best practices for teaching challenging students. Alternative education students complete extensive onsite action research and a practicum in their final year. Both concentrations require that students finish all courses with a "C" grade or higher. Applicants must possess a minimum 3.0 undergraduate GPA and an active teaching license. The school waives the teaching license requirement for applicants pursuing the applied behavior analysis specialization. Other application requirements include two professional references and GRE or MAT scores. Prospective students can apply for the fall, spring, or summer semester. Florida and Alabama students pay the lowest tuition rate. Other out-of-state students pay approximately 300% more for their degrees than in-state students. Active military personnel receive the in-state tuition rate. UWF holds accreditation from the Southern Association of Colleges and Schools and the Council for the Accreditation of Educator Preparation. At UNL, students in the MA in special education program select from three in-demand specializations: deaf and hard of hearing education, early childhood special education, or visual impairments. Students who select the visual impairments concentration complete some summer courses on the Lincoln campus. No concentration guarantees first-time teacher licensure or additional endorsements in any state. Full-time students graduate in two years. The 30- to 36-credit curriculum offers three graduation tracks for each concentration. Option one includes a thesis with a possible minor, and option two requires a minor but no thesis. In option three, students create a custom curriculum that does not include a minor or thesis. At the end of the program, all students take a comprehensive oral or written exam. Students who fail the comprehensive exam may attempt it a second time the following semester. Application requirements include GRE scores, three recommendation letters, and a statement of purpose. International prospective students who live in non-English-speaking countries may apply with TOEFL scores. New students planning to start in the fall semester must submit all application materials by the deadline. Nebraska residents save approximately 50% on tuition compared to out-of-state master's in higher education online students. All online students pay technology, library, and online course fees. The school does not award scholarships or grants to online students. UNL holds accreditation from the Higher Learning Commission. The deaf and hard of hearing education concentrations boast accreditation from the Council for Education of the Deaf. Students from more than 60 countries earn their degrees from one of VIU's many online programs. In the master of arts in TESOL, students learn how to teach English to recent immigrants and people living all over the world. Full-time students complete the online master's degree in education in two years. The program does not confer teacher licensure or certification. Graduates work for private language schools, adult education programs, and intensive English programs. New students can start the program at six points throughout the year. The 12-course, 36-credit curriculum uses a hybrid learning format wherein students take some courses on VIU's Fairfax campus. After taking six core courses in areas such as language assessment and introduction to language acquisition, students select six electives from 16 options. These electives allow students to specialize in areas such as leadership, advertizing, or international communication. To stay on track for graduation, students must maintain a 3.0 GPA. Admission requirements include a bachelor's degree in any subject, a 500 word essay, and two recommendation letters. A private university, VIU charges the same per-credit tuition rate to all students. The university awards graduate scholarships based on academic merit and financial need. To apply for a scholarship, applicants need a minimum 2.75 undergraduate GPA. Scholarship recipients may reapply for a scholarship during their second year. VIU holds accreditation from the Accrediting Council for Independent Colleges and Schools. Columbia International University attracts experienced educators searching for a master's program that combines the latest teaching best practices with Christian principles. The master of education prepares graduates to work in Christian schools, pursue a doctorate, or take on additional responsibilities in their current school. The 30-credit curriculum uses case studies so that students can make connections between the content and its relevance in education settings. Students select from two program tracks: educational administration or instructional learning. Although students can take courses asynchronously, CIU provides a suggested program of study for both program tracks. Ambitious students can complete both tracks by taking an additional three courses. The university also offers options for students who want to customize their educations further. Students need a minimum "C" grade in all courses to maintain good academic standing. Applicants need a minimum 2.75 undergraduate GPA and two years of teaching experience. Other application materials include two references, official transcripts, and GRE scores from the past five years. Transfer students may apply up to nine credits towards their online master's in education. All students pay the same per-credit tuition rate and technology fees. Students with financial need may pay their tuition in monthly installments without incurring interest. CIU holds accreditation from the Southern Association of Colleges and Schools. The Graduate School boasts accreditation from the South Carolina Department of Education. Jessica Terzakis is a consultant with Terzakis & Associates, a business advising firm in Bedford, New Hampshire. She taught high school English and worked with the New England Association for Schools and Colleges evaluating schools' curriculums and assessments. She is also an adjunct instructor at the University of New Hampshire, where she earned a bachelor's degree in English and a master's degree in teaching. Why did you choose a career in education? Was this something that always interested you? I remember "pretending to be a teacher" to my stuffed animals and dolls when I was younger, but I don't think I truly thought about pursuing it as a career until high school. During my junior year in high school, I remember admiring my English teacher. She was so passionate about literature, so well spoken, and really pushed me to be a better reader and writer. Because of that, I became interested in teaching. It was the idea of collaborating with students and connecting with them in such a way that I could push them to be better that appealed to me the most. What were some of the most crucial skills you gained in your studies that applied to teaching on a day-to-day basis? While my theory classes were instrumental in helping me construct lesson plans, some of the most crucial skills included those I learned in my educational psychology classes. Maslow's Hierarchy, for example, taught me what motivates people and what people need -- and that made it a lot clearer when it came to working with students who don't complete homework, feel unmotivated, don't participate in class, etc. This was also helpful with classroom management in general. What are some of the challenges you faced in teaching different types of students? The initial challenge I had to overcome was the fact that not all students will love English and literature as much as I do! Knowing that, I had to get creative with how I appealed to their interests within my lesson plans. That is, how could I make teaching Shakespeare's Romeo and Juliet relevant and applicable to their lives (because I taught this to all of my students no matter what level they were)? Another challenge I experienced was managing a heterogeneous group of students in one class (from classroom management to group work to lesson planning), especially because many schools are moving away from having a rigid leveling system. As part of my master's degree program, I had assistance from my advisor when it came to searching for jobs. This person was able to provide guidance about what to expect during the interview (specifically, what questions I would answer and what to bring with me to showcase my teaching). Having spent a year student teaching and having a master's degree also made it a lot easier to get job interviews in the first place. Because of the practical application during my student year, I felt prepared for the student demographics I would have in my classroom, as well as [for] how to construct lesson plans. Why did you choose to transition to teaching at the college level? I left public school teaching in 2016, but I still wanted to teach. I reached out to a connection at the University of New Hampshire and I expressed interest in teaching at the adjunct level. I was really interested in teaching an education class and creating a bridge between the theory and practical application (that is, how the theory applies in real life). What changes would you like to see in future curriculums for a master's in education? I think I'd like to see a continued inclusion of practicality -- student teaching, creating curriculum units, etc. From there, I think students would benefit from taking a class that hones in on scaffolding, creating assignments, [and] using rubrics, among others. While I teach an introductory class on how to put together a curriculum unit, I am not able to really focus on the fine details of scaffolding and lesson planning. In a perfect world, students would take a curriculum design class while student teaching. I also think it would be helpful for students to take a class on assessments (specifically how to create assessments) -- especially with the changing nature of the Common Core and other initiatives. What advice would you give to education students who want to get the most out of their collegiate studies? What resources or experiences can they take advantage of to give themselves a head start? To get the most out of your collegiate studies, I highly recommend getting into the classroom -- either as a substitute or [by] shadowing former teachers. It's a great opportunity to see how the theory "comes to life" in the classroom. You'll also get comfortable with the idea of shifting from "student" to "teacher." I highly recommend also finding a mentor who has taught in some capacity and can give you feedback and help. In terms of other resources, I listen to podcasts like the Heinemann Podcast channel to keep up with literacy trends. I also follow certain pages on social media, like Edutopia, Achieve the Core, and Cult of Pedagogy. These social media pages publish posts with bite-size tidbits on anything from classroom management to lesson planning. CAN I GET AN EDUCATION DEGREE ONLINE? Several schools offers online teaching degrees. However, some online teaching programs do include on-site requirements. Read more here..
ARE ONLINE EDUCATION DEGREES RESPECTED? Online education degrees are becoming more common and respected. Some schools don't denote whether a degree was earned online or on-campus on a diploma. Read more here..
HOW MUCH DOES AN ONLINE EDUCATION MASTER'S DEGREE COST? According to FinAid.org, most master's degrees cost between $30,000 and $120,000. This varies depending on the school and program. Read more here.. Most online master's degree in education applicants must have a bachelor's degree and submit standardized test scores and letters of recommendation to be considered. Read more here.. Some schools, like Liberty University and University of the Rockies, offer master's degrees in education online with GPA requirements of only 2.0. Read more here..
M.Ed. programs are designed to create educational leaders in and out of the classroom. Many degree holders become school counselors, educational specialists, and senior faculty members. The M.Ed. will also prepare students who plan to earn a doctoral education degree and pursue senior roles, such as school superintendents or professors of higher education. M.Ed. students can enhance their career prospects by earning a specialized master's degree in areas like educational leadership, curriculum and instruction, special education, or speech and language pathology. They may also choose to concentrate on a specific educational level -- such as early childhood or adult -- or an academic subject, like math or social studies. Online degrees are designed for flexibility and convenience. Today's technology allows you to access lectures, readings, and other course materials using your home computer or a smart mobile device. However, online courses are just as challenging and demanding as traditional classes; students must devote several hours per week for each course in order to receive favorable grades. Many schools allow students to choose between completing their degree entirely online or through a hybrid program with online and on-campus components. Most M.Ed. programs require a commitment of at least two years, although some accelerated options may be completed in 18 months or less. Earning your M.Ed. is one of the best ways to advance your career in education. In many states, simply having your master's degree in education will automatically increase your pay. In addition, a master's degree is a requirement for more advanced teaching and education administration jobs. With your Master's in Education you can qualify for jobs as a lead teacher, curriculum developer, instructional designer, school counselor and education administrator. Some colleges and universities also hire teachers with their M.Ed. to teach classes at the college level. With an online master's in education, students receive the same quality education as on-campus students with added flexibility. It's important to note the similarities and differences between programs before applying. Curriculum and Instruction An online master's program in education focuses on the theory and practice of lesson design, delivery, and assessment in the context of today's rapidly-changing educational climate. Coursework emphasizes development of instructional practices, curriculum design in reference to common core standards, and self-examination of teaching methods. Instructional coordinator, principal, teacher trainer, and additional opportunities with government agencies and non-profits. Bilingual Education An online master's degree in education with a concentration in English for speakers of other languages (ESOL) provides skills for working with ESL/bilingual students in K-12 schools. A typical program focuses on language pedagogy and acquisition theory, as well as strategies for managing the unique issues bilingual students face. Teaching ESOL in K-12 schools or other informal environments. Adult Education A master's in education online program with a concentration in adult education focuses on research on lifelong learning. The program focuses on teaching techniques to train adult learners for success in the workplace. It's an option for students who love teaching but want to move out of the classroom and into the corporate world. Corporate trainer, career educator, and post-secondary instructor. When selecting an online master's degree in education, it's important to remember that curricula offerings will differ from school to school. Students should always keep their personal career goals in mind when researching a program. There are a number of general courses that online master's in education programs tend to offer which are listed below. Cognition & Learning: An investigation into the conditions that influence learning and how the learning process occurs. Students become better educators, equipped with the knowledge of how to enrich their classroom's learning environment. Media Literacy: Students focus on ways of applying technology and teaching new media literacy skills in the classroom. Through exploring the education advantages and problems that digital content can present, students prepare to incorporate technology into their job as a K-12 educator. Strategies of Classroom Supervision: Students learn techniques for managing behavior and promoting self-direction and autonomy in the classroom. Strategies for supervising or coaching other teachers are also covered. This course is suited for students with teacher leadership aspirations. An online master's degree in education is meant to be completed in two to three years (30 to 45 credit hours). Many universities are flexible in terms of how many credits need to be taken per semester in order to accommodate working professionals. A large number of programs also offer options for additional certifications or licenses that could add extra time. Another factor that influences the duration of a program is whether or not it is taught in a cohort or individual format. Cohort programs have students complete coursework together with a small group of their peers, and they may only begin the program at certain times of the year. Individually paced program allow students more freedom. They are able to take as many credits per term as they desire, sometimes finishing the program faster than average. Students should keep their own learning style in mind when selecting a cohort or individually paced program. When selecting a school for an online master's in education, pay attention to the school's accrediting body. Accreditation is a guarantee that a school adheres to academic standards and that a degree earned there will be recognized by employers. School accreditation comes in either regional or national accreditation form. Regional accreditation is more popular as it is generally considered to be more prestigious. The credits earned at regionally accredited schools are commonly accepted when transferring from colleges. Nationally accredited schools have merits of their own, such as relaxed admittance policies and lower costs, but students should check that an M. Ed. from a nationally accredited school will make them eligible to receive an educator's license in their state. When looking for an accredited online master's in education, students should focus their search on schools accredited by bodies such as the Distance Education and Training Council or an education specific accreditation agency, such as the Council for the Accreditation of Educator Preparation. The two organizations that also play a major part in accreditation are the U.S. Department of Education (DOE) and the Council for Higher Education Accreditation (CHEA). Both organizations ensure that schools adhere to the highest standards of academic excellence by certifying the quality of accrediting agencies. If a school has an accreditation that is DOE or CHEA certified, it's a good sign that a degree earned there will be recognized. Check the DOE's and CHEA's websites for a list of all accredited schools. Although a bachelor's degree can help you obtain entry-level teaching positions, the employment rates are much more favorable for teachers who receive a master's. A recent report from Georgetown University's Center on Education and the Workforce (CEW) found that professional educators with a graduate degree faced a 1.9% unemployment rate. By comparison, the unemployment rate for teachers with a bachelor's degree and some professional experience is 3.9%, and 5.4% for recent graduates without experience. In addition to higher job placement rates, teachers who earn a master's degree usually qualify for a higher salary bracket than those who complete their education with a bachelor's degree. According to the National Council on Teacher Quality (NCTQ), 96% of the 112 major school districts in the U.S. pay teachers a higher salary if they hold a master's degree, and the National Center on Education Statistics found that teachers with a master's earned a median salary of $57,831 during the 2011-12 academic year; teachers with bachelor's degrees earned a median salary of $46,343 during the same timeframe. Below, you'll find a graph illustrating the salary differences between teachers with bachelor's and master's degrees over the course of their respective careers. As the graph shows, first-year teachers with a master's degree earned approximately $6,750 more per year than their colleagues. The pay gap between these two groups increases incrementally over time. After 15 years, teachers with a master's earn roughly $10,000 more annually, and those with 20 years in the field will make 20% more than bachelor's holders with identical experience. On top of increased earnings, teachers with a specialized master's degree in education can transition easily into senior or administrative positions. Using data from PayScale, the table below features the median annual salaries for master's-holding teachers in seven different educational professions. Regardless of specialization, the best online Master of Education degree programs prepare prospective teachers for classroom success and career advancement. Jobs for educators at the kindergarten/elementary, middle school, high school and postsecondary levels are expected to rise from 6% to 13% between 2014 and 2024 -- and teachers with advanced degrees will be strategically positioned to fill this growing demand. While there are many specializations available, the goal of any campus or online master's in education program is to graduate competent, experienced educators. Experts expect that jobs for educators from the Pre-K to the community college level will climb steadily over the next decade, increasing 12% by 2022. Teachers with advanced degrees will be strategically positioned to take advantage of this growing demand. Based on their specialization, teachers with a master's degree may pursue roles in a number of different areas. They can remain in K-12 classrooms, work with special education students, or pursue principalship positions. Below are a few of the employment opportunities available for teachers with an M.Ed. Principals at elementary, middle, or high schools monitor all daily operations within a school. They must oversee the school's curriculum, faculty, finances, administrative functions and educational resources. Most principals began their careers as teachers, later earning a master's in educational leadership or administration; principals in public schools are required to earn state licensure. High school teaching positions are available to candidates with a bachelor's degree. However, many schools will give preference to candidates with a master's degree in their subject field. In addition to educational prerequisites, public high school teachers must earn a license in the state where they plan to teach. Although a Ph.D. will be required for most postsecondary teaching positions, candidates with a master's degree in education may qualify for roles at community colleges and other two-year institutions. Administrative roles at the college or university level include deans, registrars, student administrators, and faculty researchers. Most of these positions can be attained with a master's degree, though advancement in some areas may require a Ph.D.
Professional training and development managers create programs for corporate employees across different industries, and may supervise a staff of training specialists. These corporate education positions usually require a master's degree. Making professional connections and learning about different educational approaches is crucial to your success. Professional organizations offer a great entry point for students who want to learn more about their chosen career path. Below you'll find three of the country's most prominent organizations established for professional educators. These organizations host networking events, provide online trainings, maintain active job boards, and offer other services for career-ready college graduates. Resources like these often prove invaluable as you complete your degree requirements and prepare to enter the job market. This organization works to create policies that improve the quality of classroom education and the work environments for professional educators. Working to improve public education from preschool to graduate-level studies, the NEA provides resources on current regulations, strategies for securing financial support and tools for creating high-quality lesson plans. Serving members in all 50 states, this non-union organization seeks to create tools and resources that increase student achievement and positive classroom outcomes. Despite the relative affordability of online master's in education programs, most students still need financial assistance. Students should complete a Free Application for Federal Student Aid (FAFSA) form to learn more about loans, grants, and other opportunities offered through the U.S. government. Additionally, private grants and scholarships are widely available through nonprofit organizations, companies, and other sources. Check out our collection of resources below to learn more about financial aid options. Must offer an online Master's in Education. University of North Dakota offers several online master education programs. The 34-credit educational leadership degree is a hybrid program that combines online coursework and face-to-face classes, which are held in Bismarck. This program takes 1–2 years to complete and includes a one-semester practicum. The 35-cred English language learner program requires 90 hours of practicum experience and takes over two years to complete. The reading education, students can choose between an M.Ed or MS. This 32-credit program is entirely online and takes over two years to complete. The Instructional Design degree combines education, psychology, and communication, and requires 34–36 credits to graduate. This program is fully online and offered in a synchronous format. The school also offers 32-credit MS degrees in elementary education and early childhood education. Online students at University of North Dakota pay in-state tuition regardless of residency. Most programs start in August, January, or June, except for the reading education program, which only begins in August.